The BHCA Rescue Committee is comprised of BHCA members and serves as the liaison between the BHCA and a variety of independent basset rescue groups, organizations and individuals dedicated to basset hound rescue. The committee has developed the following standards of ethical conduct in an effort to help you evaluate a basset rescue group. 1. They always keep the best interests of the dogs in mind and serve as their advocate. b. to honor their fiduciary responsibility to their donors Organizations will provide a clearly labeled contact point on their website for interested parties to obtain a complete financial report for the rescue organization. 3. They will ensure, to the best of their ability, that no otherwise adoptable Basset will be denied rescue because of age or treatable physical condition. If a Basset is ultimately deemed un-adoptable for reasons of health or temperament, they will ensure that a veterinarian humanely euthanizes the Basset. 4. They will be honest and forthcoming with the public and never knowingly misrepresent a rescue dog’s age, medical condition, and/or temperament to anyone. 5. They will screen and evaluate, to the best of their ability at that time, the temperament of each Basset placed into rescue and they will never knowingly place a dangerous Basset. 6. They will ensure that every basset placed will have been screened and evaluated by a licensed veterinarian and if necessary, given appropriate veterinary care. 7. They will counsel potential adopters about the Basset Hound breed including temperament, health, training and care issues promoting responsible pet ownership. 8. They will refer anyone desiring breeder referral contact information to the BHCA and/or the Regional Basset Hound Clubs or their members. 9. They will obtain a completed release of ownership form on rescue dogs that pass through their custody and ensure they will be spayed or neutered unless contraindicated by veterinary evaluation. If the contraindication is temporary, they will include a spay/neuter clause in the adoption agreement and enforce it to the best of their ability. 10. They will provide every fostered Basset appropriate food, water and shelter under sanitary conditions and provide veterinary care as appropriate. 11. They will never place a rescued Basset as anything other than a family pet. 12. They will thoroughly interview potential adopters, receive a veterinary reference on current pets or previous pets prior to placement to the extent possible, and request that prospective adopters who rent or lease their residence provide landlord approval allowing the tenants to have pets. 13. They will have written adoption contracts on each rescue dog placed. 14. They will provide follow up advice and assistance to adopters and take back any rescue Basset placed by their rescue group at the request of the adopter. 15. They will maintain a waiting list of interested adopters and require that adopters be at least 18 years of age. 16. They will conduct themselves in a courteous manner in rescue work such that their behavior brings credit to the image of Basset Rescue and animal rescue in general. 17. They will not knowingly use the services of anyone having been convicted of animal cruelty, neglect or abandonment. 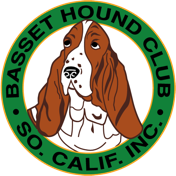 NOTE: The information above is from the website of the Basset Hound Club of America, Inc. and is included here as a convenience to our members and guests. The original page can be found HERE. Please consider rescuing a basset hound. There are many that are up for adoption.